Google announced Android 2.3 (Gingerbread), a version that fixes many flaws and adds a lot of APIs for developers. The reference device for Android Gingerbread is Nexus S, a Samsung Galaxy S phone with a few extra features and a stock Android interface. “After December 16, Nexus S can be purchased (unlocked or with a T-Mobile service plan) online and in-store from all Best Buy and Best Buy Mobile stores in the U.S. and after December 20 at Carphone Warehouse and Best Buy retailers in the U.K.,” informs Google. 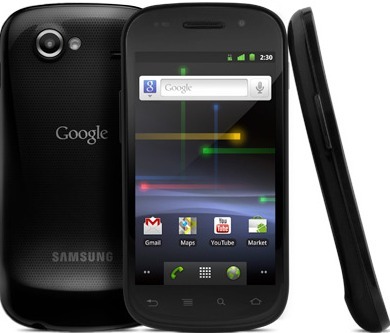 Nexus S will be the first phone that will run Android Gingerbread and it will soon be followed by Nexus One. Gingerbread fixes two of the most important flaws in the previous Android versions: it finally adds a soft keyboard that supports multitouch and it’s optimized for faster text input, while also implementing system-wide copy-paste that actually works. Google borrowed iPhone’s copy-paste implementation, which was also available in HTC Sense. Google tweaked the user interface, but the changes are subtle. “The user interface is refined in many ways across the system, making it easier to learn, faster to use, and more power-efficient. A simplified visual theme of colors against black brings vividness and contrast to the notification bar, menus, and other parts of the UI,” explains Google. 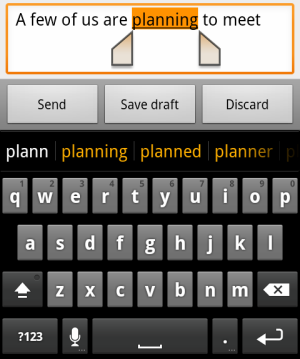 Android 2.3 adds support for VoIP calls to SIP accounts, WebM videos and near-field communication (NFC) tags. Applications can now access the front-facing camera and the gyroscope. There’s also a download management application that lists all the files downloaded from the browser, the email client and any other app that uses the API. Compared to Froyo, Gingerbread may seem underwhelming, but that’s probably because most of the apps that come with Gingerbread can already be downloaded from the Android Market and Honeycomb, the next Android release, is coming soon.